Function and style are yours with the Carson coffee table. 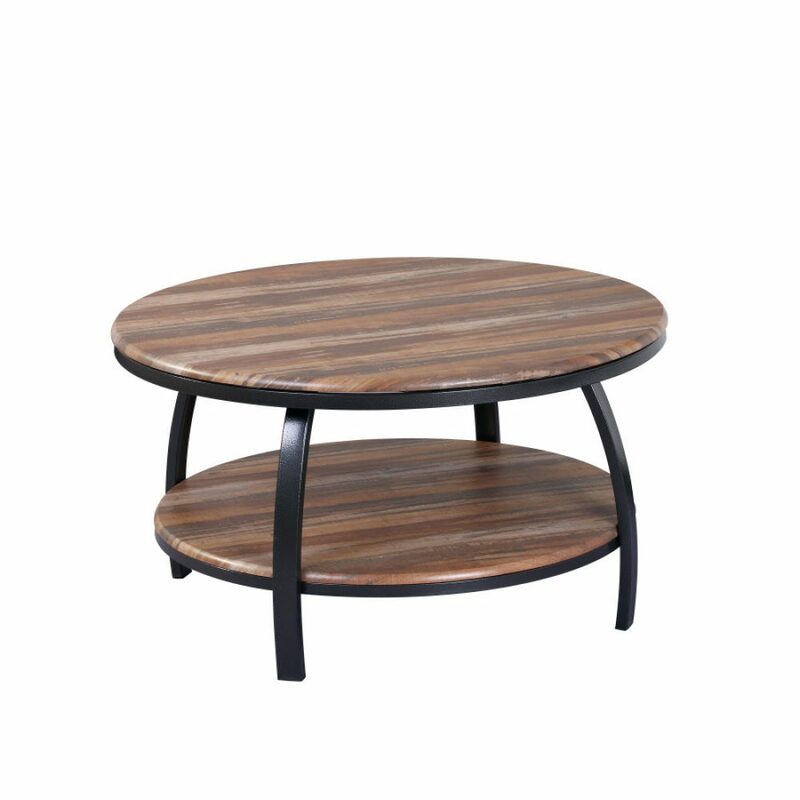 A wood-like table top in a natural woodgrain finish is durable and long-lasting and is accented by subtly textured metal in soft black. The shelf adds visual appeal and offers additional storage. Give your home a fresh update with the Carson coffee table.